For the umpteenth time, Frankie Edgar was involved in another too-close-to-call five-round affair. 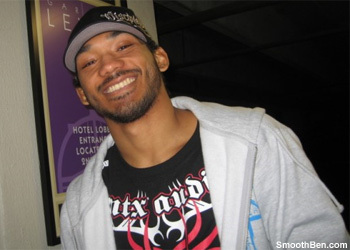 On Saturday night at UFC 150, “The Answer” appeared to discover the solution for Benson Henderson (Pictured). However, when the verdict was read, Edgar found himself on the wrong end of a (46-49, 48-47, 48-47) split decision rendering. As with most of Edgar’s battles, several of the stanzas were decided by the slimmest of margins. According to FightMetric, the UFC’s official number crunchers, the scrap should have been ruled a 48-48 draw. UFC 150 took place inside Pepsi Center in Denver, Colorado.